Greenwood High School head baseball coach Trey Holloway knew from the very beginning that pitcher Connor Noland was something special. 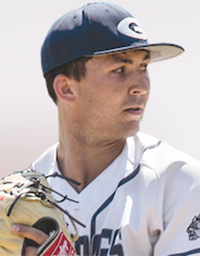 When Connor was a sophomore, Holloway called University of Arkansas pitching coach Wes Johnson and head coach Dave Van Horn and told them that during his last 41 innings, he didn’t give up one run. The 6’2, 205-pound athlete had a gift. She has played volleyball, softball and even a little golf but Central Arkansas Christian High School senior Christyn William’s first love … is basketball. Playing since she was 3, Williams hopes to take her passion for the sport all the way to the WNBA. The three time Gatorade Arkansas Girls Player of the Year is definitely on her way. Williams, the All-Arkansas Preps Girls Basketball Player of the Year for the second time, finished her senior season with 26.8 points per game with 10.4 rebounds and almost three assists a game. Coaching is in Kent Early’s blood. 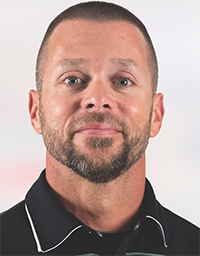 His father Alvy Early, has been coaching at the University of Arkansas at Monticello for more than 20 years and his brothers: Preston Early a coach at Rogers High School and Brian Early an assistant coach at Arkansas State University, round out the Early coaching tradition. As the head softball coach at Bentonville High School, he led his team to their third consecutive Class 7A state title in May. The Lady Tigers were ranked No. 7 in the nation by MaxPreps and No. 21 in the Xcellent 25 Writers’ Poll making them one of the school’s most celebrated teams in the program’s history. The Hussman Community Award is presented to one of the states’s outstanding athletes who has also worked to better his or her community. 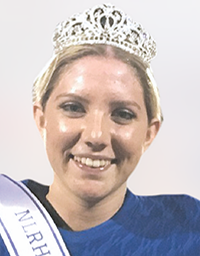 Senior Savana Melton is being honored not only for her pursuit of being the first female kicker for the North Little Rock Charging Wildcats football team but also for her dedication to community-service. Savana’s first venture into serving her community was when she joined the Mayor’s Youth Council as a freshman. She has remained a part of the organization ever since. The program offers a weekly opportunity to be involved in the community in a variety of ways, whether it is bringing teddy bears to the elderly in local nursing homes or taking a shift at the local soup kitchen. The CHI Health Award highlights one athletes who not only overcame a health challenge but who did so while inspiring his or her team and community. 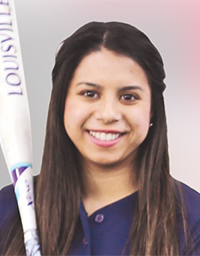 This year’s nominee is Greenwood High School Senior Lexie Castillow The softball player was struck with giant-cell tumor of the bone in her knee at age 10. From the age of four, Castillow knew athletics was her passion, so when the cancer threatened to end her softball career, she refused to give up. She defied the odds while performing at a high level in athletics in volleyball, softball, and in the classroom. Her determination to overcome adversity earned her the CHI St. Vincent Health Award.